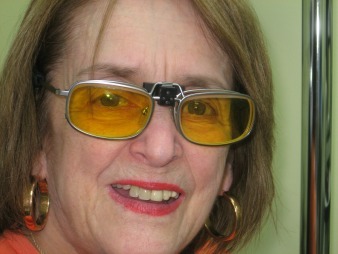 There are three different avenues to take in coping with one's vision loss. One is to seek treatment to halt or reverse changes in the macula or retina, another is to make lifestyle and diet changes to support healthy eyes and surrounding tissue and the third is to find and use technology that can enhance the usable vision one does have. "I haven't seen this clearly in years." Find out more about these low vision glasses, how they improve vision and where to get them from low vision optometrist Randy Kinkade.